What are the 12 Pubs of Christmas Rules? Celebrating Christmas in another country is a brilliant way to immerse yourself in another culture and atmosphere and get stuck into new traditions and experience things that may well be beyond your own normal. We have spent a few celebrating Christmas in Ireland and in particular celebrating Christmas in Dublin. 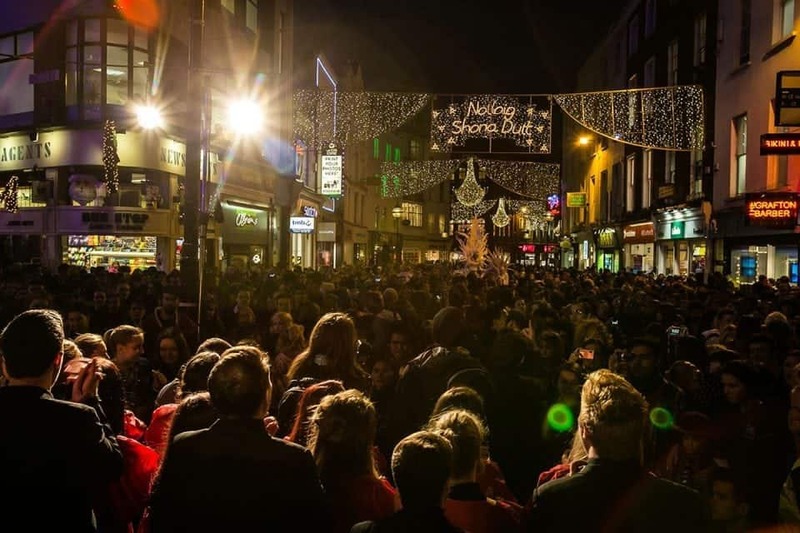 Most major cities in Ireland will have similar celebrations for Christmas, be it in Cork, Galway, Killkenny or even the north of the country. Last year we were lucky enough to celebrate Christmas in London and we got to wander the streets decorated in their finest Christmas glory. In Ireland celebrating Christmas is all about the “craic”, being with family, having fun and simply enjoying the energy of the season. Ireland is an incredibly beautiful country to visit no matter what time of year you choose to visit. Christmas in Ireland is pretty special, with the Christmas markets, sparkling lights, decorations and trees. House sitting in Ireland can be difficult, many sits require transportation of some kind as a lot of Ireland is very rural. In some cases the homeowner may allow you to use their vehicle but you may need an International Driver’s License for the insurance and good experience in driving standard. In Ireland, as in the UK, most cars are standard and manual vehicles cost more to insure. If you are in Dublin celebrating Christmas you will find it very easy to get around. Dublin is a very connected City and you won’t need a vehicle here as City transportation links are very good. From Dublin you can also get out to see other areas with Bus Eireann. Ireland is a very family orientated country, they like to take their time and celebrate well. Like most countries on December 24, virtually everything shuts down on Christmas Eve and then starts up again on December 26 when the sales set in. There are varying traditions for folks living in Dublin that help set the Christmas season. Some of these are very budget friendly (meaning free) and some do have a cost to them. Some parts of Ireland also celebrate Women’s Christmas which you can read about here. So if you do get a chance to house sit in Dublin here for your pleasure, are the 12 days of Christmas Irish style. One of the newest “traditions” is the 12 Pubs of Christmas. This “tradition” has been developing over the past few years. It may appear to be a millennial party but in Ireland, everyone joins in for the craic. Young and old alike you select your ugliest Christmas Jumper (also known as sweater, cardigan or sweatshirt). We are talking jumpers that are simply hideous with lights, velcroed Santas, real candy canes and the like. 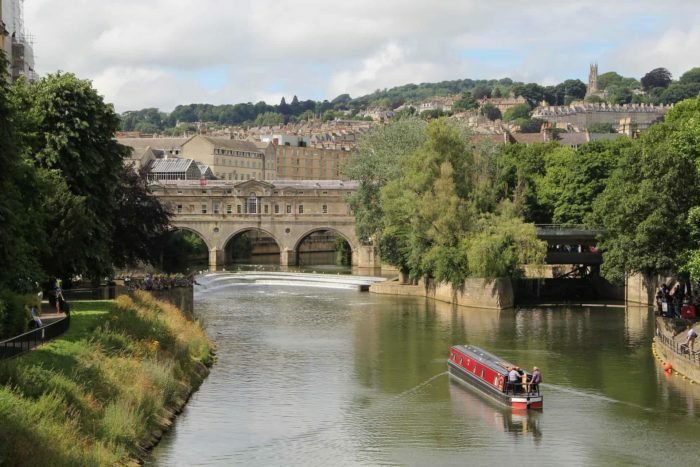 The idea is to hike between 12 different pubs in your area and drink a full round in each pub. There are strict rules to abide by when visiting each pub. 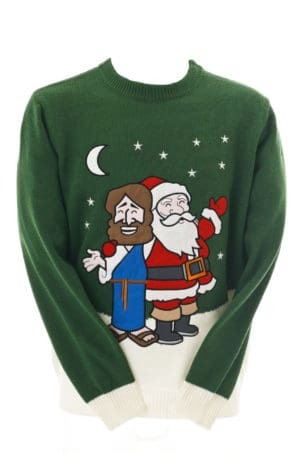 Pick up your jumpers from Deadly Christmas Jumpers here. 1. No drinking with your right hand in the first pub. 2. No pointing at people in the second pub. 3. No talking to anyone you know in the third pub. 4. No sitting, resting or leaning in the fourth pub. 5. No using the restroom in the fifth pub … and so on and so forth. Penalties may include bashing down the whole of your drink on breaking a rule. There are usually rules about how long to spend in each pub, for example some of the rules include a maximum 1/2 an hour in each pub. Usually somebody ends up as rule keeper and whistle blower but most of the time the party breaks down and ends up in one pub (generally around 7 or 8) for the rest of the night. Oh and by the way the crawl is open to all ages and anyone can join in and take part. Christmas lights go on in various places around Dublin. 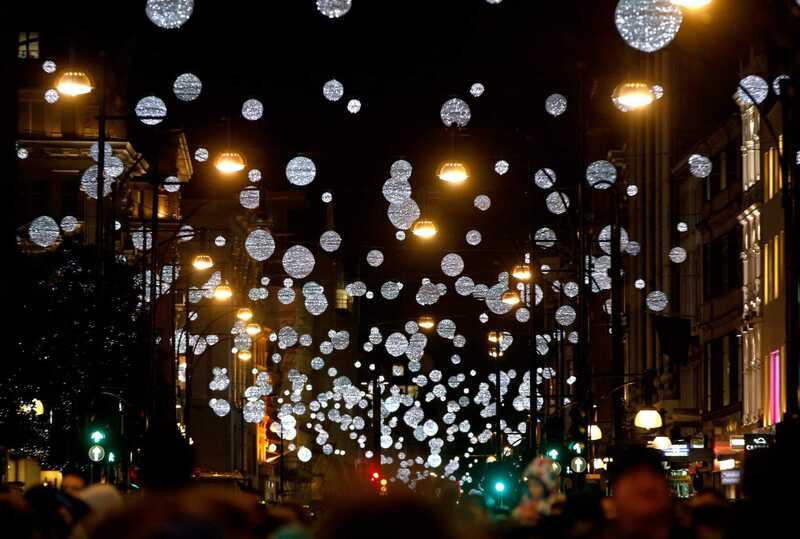 The Grafton Street lights switch on towards the end of November. There is usually a special guest and lots of family based entertainment. The lights themselves are simply gorgeous chandeliers and swags designed by the same team that does the lights at the Eiffel Tower. 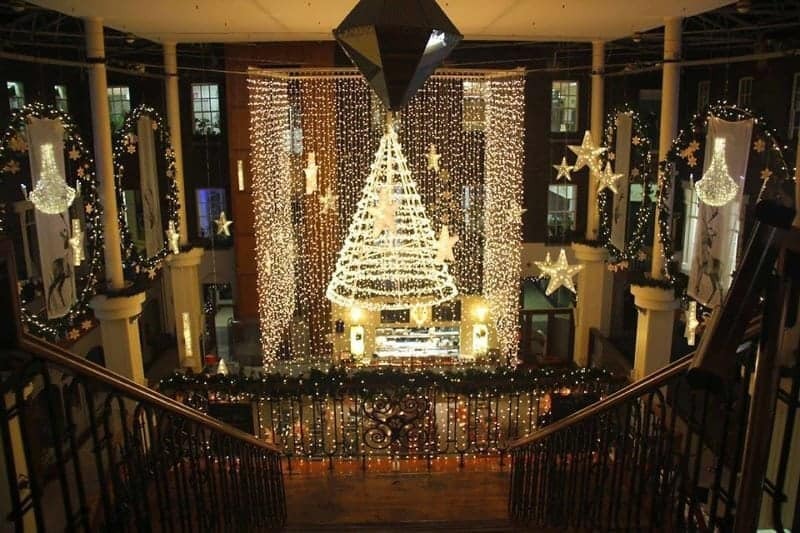 Dublin has been growing its Christmas Markets for the past few years and one of the best is the Dublin Docklands Christmas Festival, generally held around the 12th of December until the 23rd it is held at George’s Quay. This is a magical market reminiscent of those held in Vienna. With a Victorian fairground as the backdrop Ireland’s finest craft and artisan producers gather to display their wares from homemade jumpers, hand-woven blankets and throw, incredible Celtic jewelry, hand bound books and so much more. St Patrick’s Cathedral is a stunning vaulted cathedral in the heart of Dublin. The Cathedral was founded on what was believed to be the site of the well used by St. Patrick himself. The current cathedral dates from around 1220, where it was built on the remains of an old wooden church. For something truly special at Christmas time, catch a heavenly performance of Christmas carols held several days before Christmas Eve. Mass of Christmas Night will follow the carols at 10pm, which generally is known as Midnight Mass. Butler’s chocolate has been around in Dublin since 1932 and there are several locations throughout Ireland. If you are in Dublin however, you must go to one of their Chocolate Cafes in Grafton or Henry Streets and have the mind altering White Hot Chocolate. If ever a drink was made for Christmas this is it. You can even buy some to take home with you. 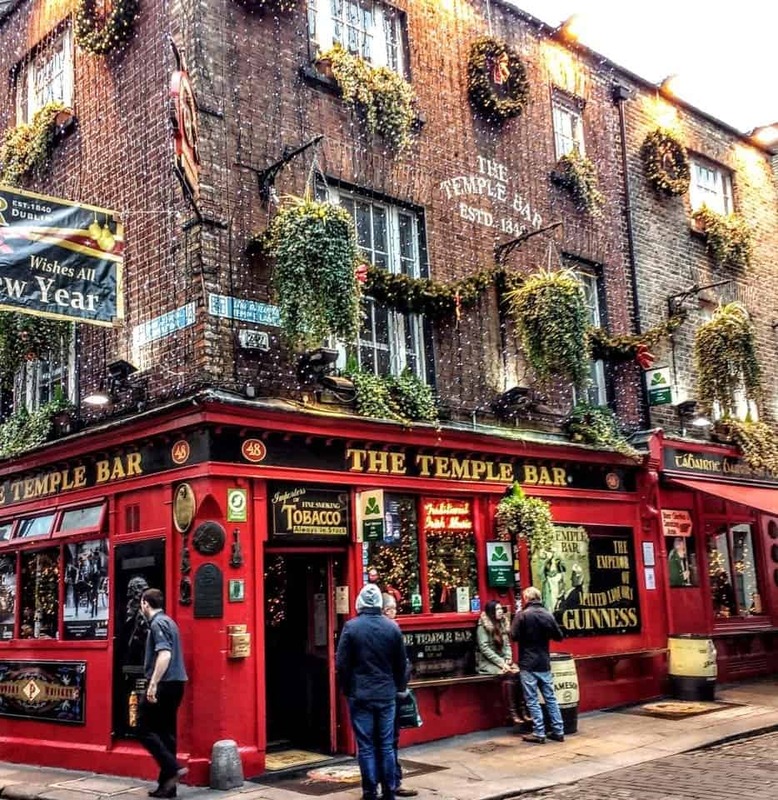 Not much is actually open on Christmas day so your best bet for a good Christmas dinner, if you want traditional, will be one of the many hotels in Dublin. For those on a budget many of the better Chinese, Korean and Asian restaurants will be open and serving everything from all you can eat buffets to authentic Szechuan food. 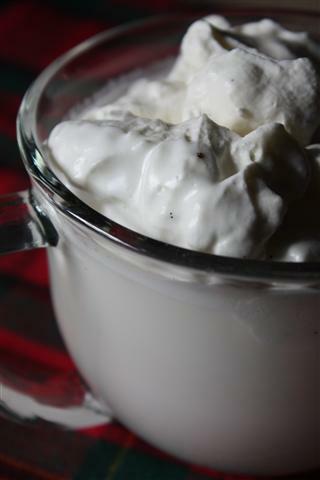 In the run up to Christmas check out some local Irish favourites. Gallagher’s Boxty House for the local hearty potato pancakes served in myriad ways. 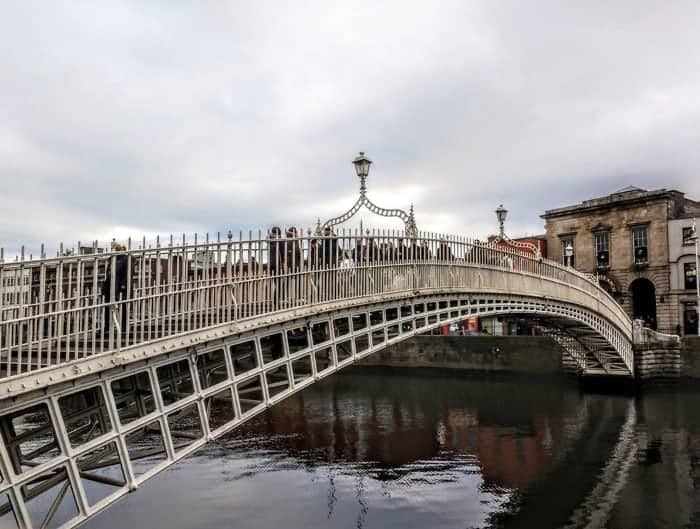 From The Bakehouse that offers great traditional Irish baked goods and foods, to the award winning Gogarty’s where you have some trad music served up with your Guinness stew there is a hell of a lot to choose from in Dublin. Prices will range from affordable to extreme. Go To Christchurch Cathedral, even if you are not religious or Anglican (yes this is a protestant church) it is a soul lifting experience listening to a choir sing in a cathedral and spending Christmas in Ireland is a special time to listen to beautiful music. Tuesday Night, December 6, ‘Carols by Candlelight’ Christmas Concert, Sung by the Choir of Christ Church. One of the liveliest places to be this Christmas will be down in the Dame district where the market seems to be about getting people drinking and listening to music and simply getting in the spirit of. For 10 days leading up to Christmas, the district transforms into a Christmas Wonderland with all the very best of Crafts, Music, Arts, Food, Drinks, a Vintage Carousel and a Santa’s Grotto, with live entertainment every night! Pantomime is a long-standing tradition in the British Isles and Ireland is no exception. There are usually a few to choose from and they are definitely a “get stuck in” type of entertainment. The audiences are expected to yell, shout warnings and sing along with the action on stage. The Gaiety Panto is a Dublin institution. It’s a tradition for local children and for folks from farther afield, to descend on the Gaiety to enjoy the annual performance. The Helix this Christmas is presenting their hilarious adaptation of Beauty and the Beast and A Grimm Tale of Cinderella is being presented at the Smock Alley Theatre. An institution the Moving Nativity, held at the Apostolate’s premises in Parnell Square is a perfect spot for children and adults. 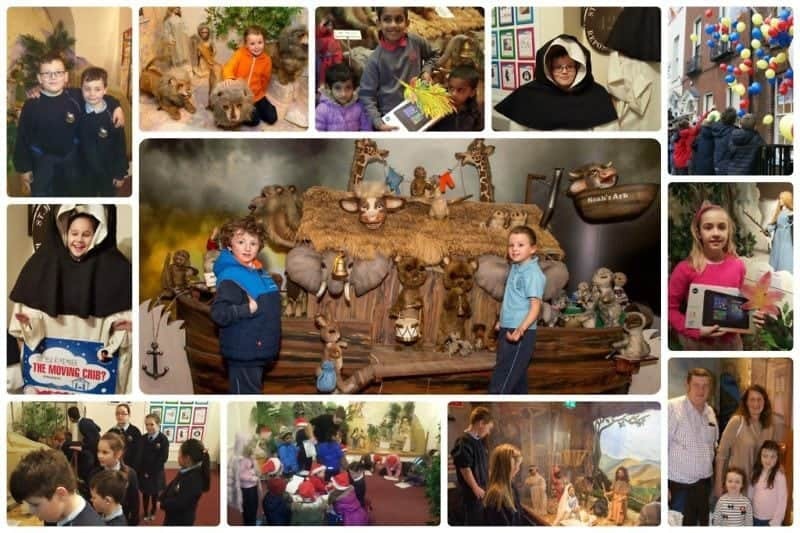 The animatronic figures enliven this nativity play that includes over 100 handcrafted figurines and lovely hand painted backdrops and sets that depict “biblical life.” For over 50 years, this delightful display has fascinated generations of Irish children. 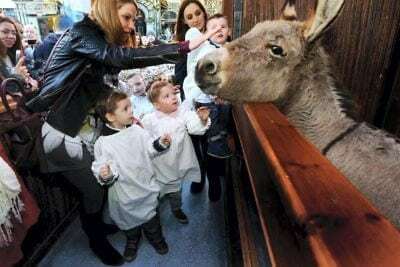 For 22 years, the Irish Farmer’s Association has been presenting this Nativity Crib with Dublin City Council outside the Mansion on Dawson Street they host a live animal crib with donkeys, goats, sheep and others creating a life size stable. The animals are brought to the crib every morning and then returned to the farm to rest in the evening. The launch of the crib includes choral performances, face painting, street entertainment and much more. Christmas carols, a candlelit setting, full period costume makes for a grand evening or an afternoon matinee. Carols by Candlelight at the National Concert Hall event is one to attend, brilliant sopranos, some time honored carols and uplifting music what could make for a better Christmas treat? A good Christmas in Ireland wouldn’t be complete without some shopping and busking on Grafton Street. Glen Hansard and Bono are expected every year on Christmas Eve in Grafton Street. Bono doesn’t show up every year unless he is in town but Glen is usually there with a host of other musicians showing up for the cause. 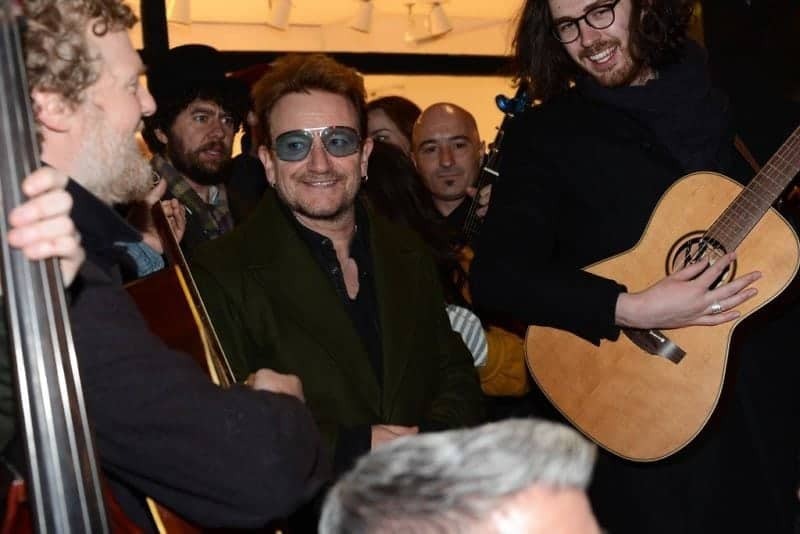 Last year Bono, Hozier, Glen Hansard, The Script, The Coronas and Kodaline were among the artists who performed. All proceeds from the massively popular street show go to The Simon Community, a charity that works to end homelessness. The busking usually begins around 7pm. Hang around, keep checking Twitter for the location and join the throngs on this special night. @DublinCity or check out this official YouTube video. 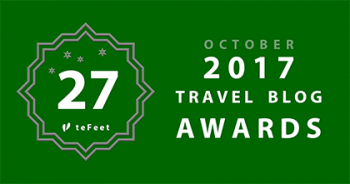 Planning your first visit to Ireland? Here’s everything you need to know. How beautiful! I love seeing how other countries celebrate Christmas. The Irish do it really well! I love all the lights and decorations all over town. That’s so cool Glen an Bono are expected every year ! Would love to see that! Haven’t celebrated x-mas for a while… Ireland seems like a not bad place at all to have it! I was surprised at how much less commercial it is than Canada. I think we get inundated with buy buy buy and we get stuck on that mindset. I find here the commercials on TV are much more about spending time with family and all the major brands emphasize that instead of spending all your money on our stuff. Almost reverse psychology if you will. I just loved this post. Although I have traveled more than most through my life, I have never yet been away from home during Christmas. There is always that expectation to be back among family during that time. However now that kids across the broader family are getting older, my partner and I will no doubt look to experience Christmas abroad a few times. 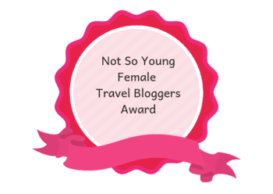 Ireland just looks like such a wonderful place to spend this special time of year and your post has really highlighted so well what a great choice this is. I’ve been to Dublin a couple times.. even in the winter, but I’ve never had the pleasure to be there over Christmas… Now I want to! It looks like there is so much to offer and the city seems to get very festive. Sounds like a great time! I love Dublin, and it’s almost worth going back just to see Glen Hansard playing in Grafton Street, I love him! Butler’s hot chocolate is so good, especially in the Irish weather. And yes to those beautiful Christmas jumpers haha, not itchy at all! Some of the places really looks like Brussels where I am currently living. Very nice pictures! 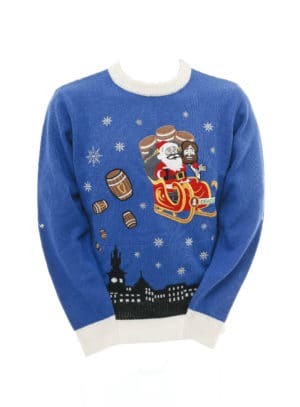 Haha, the tradition with the ugliest sweater and the pubs is so funny and interesting! Would love to experience that one day. Been dreaming about visiting Ireland for a long time! Sounds like Christmas time would be a good idea! I love destination Christmases. You’re right that it’s a great opportunity to learn more about another country and it’s tradition. 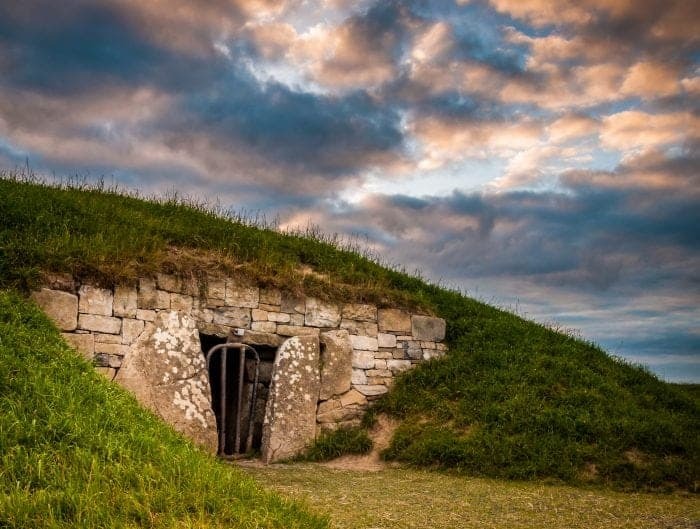 Ireland seems like a wonderful place to celebrate the holidays. I got back from Ireland and Dublin less than two month ago but now I’m tempted to go back. The three days I spent in the city were really nothing. Great article by the way! Wow, that looks like a great Christmas plan – 12 days of total fun. So many tasty and colourful destinations! Would love to visit Ireland the next year in winter! 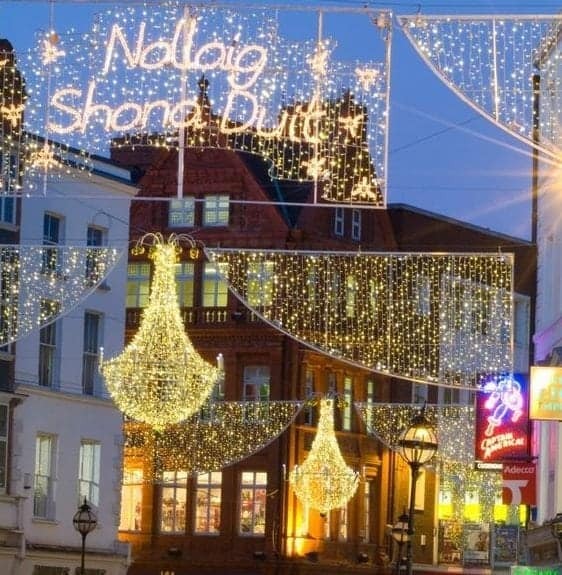 Christmas in Ireland sounds and looks magical! The lights, the music, and the hot cocoa would be my favorite things. Saving this for a future visit. I loved Christmas in Ireland! I was there in 2015. We had a very rainy time, but it didn’t make it less magical. I would love to see the Panto as well! See you at Fly Away Friday this week!